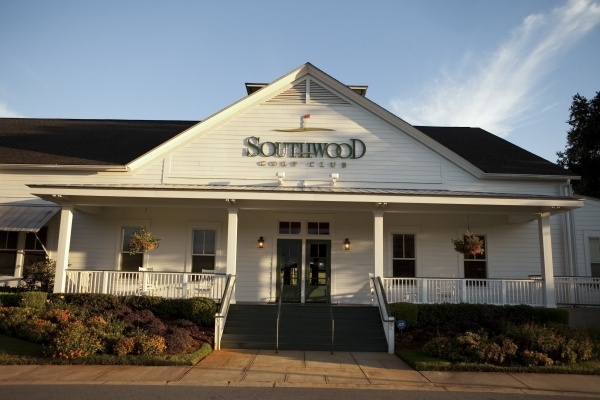 Set amidst the beautiful backdrop of a stunning golf course, SouthWood Golf Club offers you and your guests an extraordinary setting for your special event – whether a wedding reception, ceremony, holiday party, banquet, corporate seminar, golf event, or other special occasion. Once you complete and submit the request form below, the Director of Sales will contact you to provide you and your group a personalized event proposal, and to answer any questions that you may have. style event, or up to 95 people for a seated event. Catering options range from basic menu selection to heavy hors d’oeuvrers packages, dinner buffets, and plated options. We offer a full bar that can be customized for your special event that will provide you and your guests with many options. 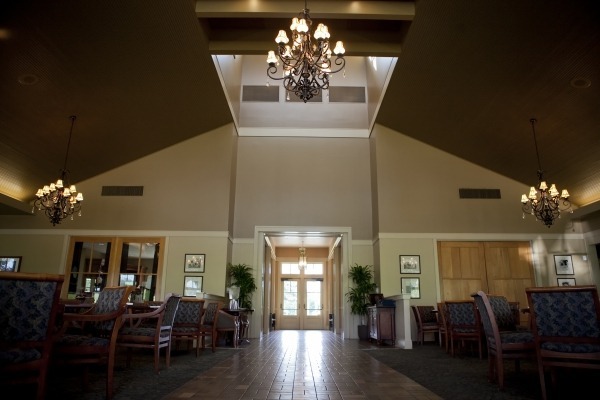 The Champions Room is a private room inside the clubhouse which seats 20 people. This room is generally used for private business meetings, bridal luncheons or showers, farewell luncheons, and other small functions.